Whenever I find my mind wandering and unfavorably comparing what I’m doing, or worse my entire life, to someone else’s a quote from Teddy Roosevelt floats into my head. Granted, Teddy didn’t have to contend with Facebook, Instagram or SnapChat – to name just a few of the social media giants that prompt Fear of Missing Out or FOMO. He wasn’t lured to look at selfies of friends living it up on wild boar hunts in Borneo while he attended to the drudgery of running the nation. But he instinctively knew that losing our focus and fearing what we think we might be missing out on was a trap that could ensnare us in self-loathing, lament and loneliness. Nowadays, FOMO is an undeniably real phenomenon fostered by social media use and capitalized upon by marketers to sell us everything from Uber rides to watches. As many as 70 percent of adult Millenials fear missing out on something marvelous happening somewhere they’re not, according to a study from JWT Intelligence Communications. And the rest of us who are either younger and older than Millenials have bouts of FOMO, too. The reality is that we often serve ourselves a steady diet of FOMO when we mindlessly swipe, click and binge on our devices. American adults spend as much as 11 hours a day on computers, tablets and smart phones, according to the market research group Nielson. The average amount of time spent daily on social media nets out to about two hours, according to Stastista, another market research firm. Much of the time we’re unaware of the FOMO fallout from staring at so many screens. If you feel mildly disgusted after a social media session- a bit as if you’ve eaten an entire bag of sour gummies – blame FOMO. But don’t be too hard on yourself. Social media giants notoriously designed their platforms to hook into our brain’s reward center and keep us clicking away. Many tech companies are now trying to help us break our bad device habits. Apple, for example, offers a screen time feature that lets you know just how much time you spend on various apps, websites etc. That’s helpful. But there’s a decidedly less high-tech way to avoid FOMO and that’s by practicing mindfulness. Mindfulness is about paying attention to the present moment, on purpose, without judgment. And in the face of FOMO, it’s a powerful ally. We can use mindfulness to purposefully engage in social media, to notice how it makes us feel and to appreciate everything that’s already in our lives – even the small moments that aren’t Instagram worthy. Think of Social Media as a Substance: Viewing social media as substance can help us engage with it more mindfully. We all know how we feel after having too many margaritas. And, for most of us, that’s reason enough to use some restraint when drinking. But we often don’t consider using the same sort of restraint while using social media. It might serve us well to do so. Studies show that when we mindlessly engage with social media it can heighten our anxiety and depress us. Being deliberate about our social media use can be the difference between feeling digitally hungover or happily entertained and even more deeply connected to each other. Pay Attention to Your Body: There’s an expression that says the body doesn’t lie. If we tune in to how we physically feel in any given moment, we often can get a sense of how we’re emotionally fairing. While using social media check in with your body. Does your body feel heavy or drained? Do you notice a sour feeling in your gut or tightness in your chest? If so, investigate the sensations a bit further and see if they’re connected to an emotional state. Do you feel anxious or a bit blue? Over time, such physical check ins can give you a somatic roadmap that quickly directs you to how you’re feeling, letting you know if it’s time to log off or if your time online has been well spent. Savor the Small and the Good: Few of us will ever post a picture of ourselves having a nice chat with a neighbor or going for a quiet walk alone in the park. But these are often the moments that make us feel good on a daily basis. Sure, a trip to Paris would be nice. But whenever you feel FOMO creeping up on you, stop, take a breath and redirect your attention to the smallest thing you have to be grateful for in the present moment. Right now, for example, the feeling of the keyboard under my fingertips is as pleasant as playing a piano sonata. My chair is comfortable. And, my cat Peter, who is soundly sleeping at my feet, is the picture of peace. You can have Paris. Right now, this moment, in all its plainness is pretty hard to beat. Admit it. It’s often difficult to celebrate in the success of others. Sometimes when others succeed – even those close to us – an embarrassing amount of envy can arise within the best of us. This is why in classical mindfulness teachings there’s a practice that cultivates “sympathetic joy” or the ability to delight in the good fortune of others. Sharing in the joy of others not only benefits them, but us as well as. It turns out that our happiness expands in proportion to our ability to care and connect to those around us. One of the best examples I’ve seen recently of shared joy comes courtesy of the UCLA Women’s Gymnastics team and their celebration of teammate Katelyn Ohashi’s exuberant, perfect 10 floor routine. Watch the following video and notice feelings of shared joy arise as you, too, celebrate Ohashi’s success. Watch again and pay particular attention to how Ohashi’s teammates delight in her triumph. Next time you feel envious, think of them. My next UCLA MapsI class begins on March 14th from 7 pm to 9 pm at Hari’s RIE Studio in Santa Monica. The six-week class series is a wonderful way to begin a mindfulness practice or renew an existing one. Many students repeat the class as it’s a supportive way to continue to deepen and explore their meditation practice. You can sign up on my website under the Classes tab or on UCLA. Bring a friend. While trudging over the snowy expanses of the North and South Poles and climbing to the rarified heights of Mount Everest, Norwegian explorer Erling Kaage discovered something unexpected. He discovered the subtle joy of silence. It’s true. We live in an exceedingly noisy world filled with blaring horns, cell phone rings, leaf blowers and dripping faucets. Governmental agencies have long sought to reduce noise pollution, acknowledging the health hazards of so much clamor. But silence isn’t just about the absence of environmental noise. It’s also about the silence that can be found within us and the delicate joy that emerges when we’re fully present with our moment-to-moment experience. 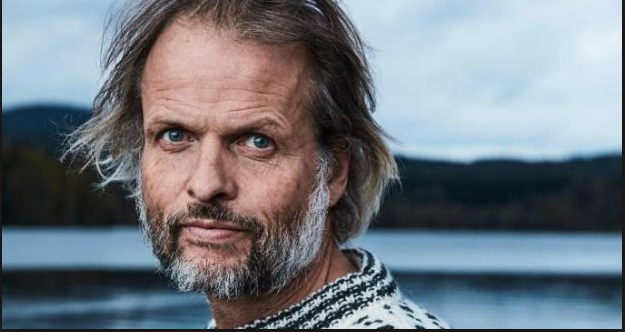 Kaage says he walked alone for 50 days and nights in search of total silence, but he didn’t find it until he turned inward toward an inner silence. Yet, many of us, like proverbial moths to the flame, are drawn to the noise of our busy, digitally connected lives. So much so that we’d rather receive an electric shock than sit in a room alone with our thoughts. That’s what University of Virginia researchers discovered when they conducted an experiment offering study participants that very choice. Shockingly, most of the participants chose to give themselves an electrical jolt rather than sit in silence. But treasures can be found when we invite silence into our lives. When we’re quiet long enough for our thoughts to settle, for our bodies to relax and for our feelings to move freely through us, we can often find an abiding joy that exists from simply being. Adventurer Kaage found the joy of this kind of inner silence in the extremes of nature. But you don’t have to scale Mt. Everest to find it. Mindfulness –the act of paying attention to the present moment without judgment – can be a means of finding inner silence in the midst of your daily activities. Moments of inner silence can arise whenever you sit quietly and devote your attention to your breath. Inner silence can be found when you do the dishes with your full attention. It can even appear on a crowded bus when you decide to put away your iPhone and take in the moment-to-moment experience of the swaying bus, the passing traffic and the chatting of strangers traveling beside you. When we fully contact the routine moments of our day in silence, they become fuller and even pleasurable. Doing the dishes with singular, silent attention can elevate a chore into an experience that fills the senses with sounds, sights, temperature and touch. Whether we realize it or not, we seem to be longing for more quietude in our lives. Sound canceling headphones, white noise machines and recordings of babbling brooks comprise a booming quietness industry. But a far simpler path to finding inner silence might be to add a bit of mindfulness into your day. Go for a walk alone and make the experience of nature or even the city streets the objects of your singular attention. Spend a few extra moments in bed after awakening in the morning and listen to the sounds of the house and the world outside coming to life. During the whirl of your workday, pause and attend to the rising and falling sensations of your breath. See if a little bit of silence floats to the surface amid the waves of thoughts. Encountered in this way, silence is not something to fear. Instead, it’s a gentle friend – one who can help you balance the ups and downs of your day, connect you more meaningfully to yourself and add a bit of joy to your life. Everything is always changing. Sometimes that fact can be frightening. Especially, when we catch a glimpse of ourselves in the mirror and realize we’re no longer 20 years old. And, yet, change as a constant, if embraced, can be incredibly freeing. Longer periods of lament, whether they seemingly last for weeks, months or years, also are far less stagnant than we think. I’ve been depressed and also experienced happiness within the same period of time. Sometimes, nature can be a powerful reminder of the potential change brings. Watch this fascinating video on the unassuming life of a kidney bean and welcome change as a harbinger of something amazing yet to come. I’m offering a new UCLA Mindfulness class in Santa Monica: UCLA MapsII: Next Steps: Improve Your Meditation. The six-week class series begins next week on Thursday Jan. 17th from 7 to 9 p.m. at Hari’s RIE Studio at 2901 Ocean Park Blvd., Suite 121, Santa Monica CA. The class is open to those who have taken MapsI or have taken an equivalent introductory mindfulness class. MapsII is a great way to deepen your meditation practice and begin the New Year! Also, beginning March 14th, I’ll be teaching another UCLA MapsI class in Santa Monica on Thursday evenings at the same location from 7 to 9 p.m. You can register for that class in February. Stay tuned for registration details. Many students often repeat MapsI as a way to maintain their ongoing mindfulness practice in a supportive environment. Ever since the advent of the positive psychology movement, we’ve been barraged with advice about how to become happier. And, yet, by many metrics we’re still fairly downbeat. Rates of anxiety and depression are rising not falling. The divide between our efforts to become happier and our actual levels of happiness surely makes us feel worse. But the problem with happiness isn’t our effort to achieve it. It’s pursuing it in the first place. Happiness, quite simply, is overrated. 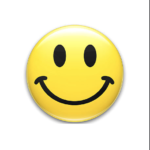 Far from being a sustainable trait, happiness is a state that waxes and wanes. Like pleasure, which fades after eating the first potato chip from the bag, happiness is, as they say, fleeting. I’m a bit embarrassed to admit that it took me so long to emotionally understand something that seems so intellectually obvious. But giving up the pursuit of happiness has made me, well, happier. I’ve also come to realize just how much we need the things that, on occasion, make us feel bad. Whether we admit it or not, we need our petty annoyances and frustrations. We need our dismay and uncertainty. We need our anger and our sadness. We need them because they are the very things that help us define happiness when it arrives. The feelings that are the flipside of happiness arise within the context of less pleasurable experiences that give our life shape and meaning. Visiting a sick friend in the hospital isn’t as fun as shopping on Amazon, but it’s arguably more fulfilling. Raising kids is a rollercoaster of highs and lows, but being a parent is meaningful. 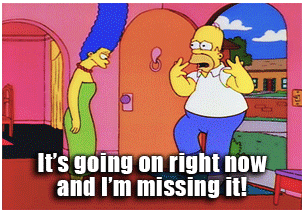 Tackling a new project at work might have equal parts frustration and reward. In her book, “The Power of Meaning: Finding Fulfillment in a World Obsessed with Happiness,” author Emily Esfahani Smith relays a story about Robert Nozick, the 20th Century philosopher. Nozick designed a thought experiment. He asked people to imagine that they could live in a magical tank that would give them the happy experiences they wanted. He then asked if they would want to live in the “feel happy” tank for all of their lives. Most people said no. Why? Because as Smith says while you might feel good living in a happy tank, your life wouldn’t be good. A person in a happy tank is a bit like a paperweight. “He has no identity, no projects and no goals to give his life value,” writes Smith. In other words, as Nozick’s experiment concluded, there’s more to life than feeling happy. What brings meaning to each of our lives is different. But it will likely be a mix of endeavors and experiences that invite frustration, disappointment and even anger as well as gratification. Paradoxically, embracing the bad begets the good and even the happy. A window onto the world is a wondrous thing. Life affirming and sweet, taking time to look out the window and mindfully behold whatever arises in the view of your soft gaze is a practice worth trying. Recently, I stood on the eighth floor of a high-rise in Toronto doing just that: Practicing window meditation for 30 minutes. Boring, you say? Far from it. 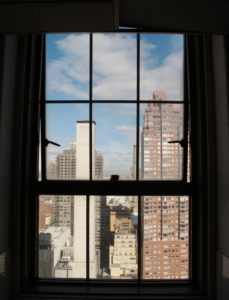 During my window meditation, the world below and the sky above unfolded in continually surprising ways. Cars and people moved like insects in the streets and on the sidewalks below. Crows dove from trees to windowsills and down to the ground, pecking for breadcrumbs. Building vents opened and closed, twirling steam into the air. Beyond the edges of the teeming city, the stillness of Lake Ontario flowed into a baby blue sky. And I was a small part of it all. What’s your relationship to fear? Small and meek? Bold and bring it on? Do you have enough mindful awareness to know? Perhaps there’s no better way to gut-test your reaction to fear than by standing on a high-diving board and daring yourself to jump into the pool below. This video called the Ten Meter Tower provides a poignant and very human look at the varying ways we relate to the primal emotion of fear. Have a look and bring some mindfulness into play. Notice if any sensations arise as you watch. Then ask yourself: What would I do? How much time do you spend outdoors? If you’re like most of us, the answer is not much. The average American spends 90% of their time indoors, according to the Environmental Protection Agency. We spend another 6% of our days shuttling around in our cars. For creatures who evolved outdoors, our time in nature nowadays is shockingly short and often relegated to brief transits in and out of buildings and…yes…cars. I am guilty of too much city dwelling as well. But, recently, I spent a week in Maui where those statistics above got reversed. Much of my time was outdoors, swimming and sunning on the beach. (I know. It’s a tough life.) But I was struck by how much better I felt – in every way – when I returned home. Could it have been more than just a change of pace? Could it have been the healing salve of nature? Research is proving this to be true in more ways than one. 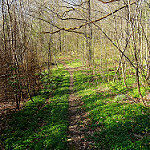 Spending time in nature offers a wealth of physical, mental and emotional benefits. Being outdoors boosts immunity. It reduces blood pressure and cortisol levels. Studies also show spending time outdoors improves concentration and focus, social connection and even creativity. But perhaps, most striking is what being out doors does to our moods. Nature, it turns out, is a natural antidepressant. You don’t have to hike Everest, swim to Cuba or even camp out in your back yard for a weekend to reap the rewards. Just five minutes outdoors will relax your facial muscles and slow your heart rate among other benefits, according to Williams. All of it is worth bringing some mindfulness to and reflecting on how we not only spend our time, but where we spend it. When was the last time you listened to bird song, basked in the warmth of sun or felt the soft carpet of grass beneath your feet? 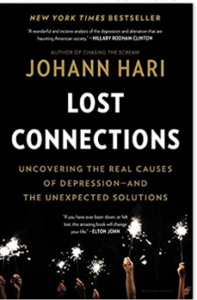 Johann Hari’s absorbing book “Lost Connections: Uncovering The Real Causes of Depression – and the Unexpected Solutions” upends traditional theories about how brain imbalances and genetics cause depression. Instead, he proposes another theory: Depression is a disease of disconnection. Hari’s account, which is part memoir and part investigative journalism, is well researched and surprisingly entertaining. He writes compellingly about how our disconnection from primal needs ranging from community to nature to meaningful work are at the root of what sometimes seems to be a chronic societal sadness. Hari overstates his argument at times and suggests institutional solutions that may never be achieved. But he nonetheless offers an illuminating view of depression that is undeniably helpful to anyone who may struggle to understand why they feel melancholic or anxious. Hedge fund Jana Partners LLC and the California State Teacher’s Retirement System, which control $2 billion shares of Apple stock, sent an open letter to Apple last week pressing the company to offer parents more tools to control and limit iPhone use and for more research. The California Department of Public Health issued a warning in December against exposure to cell phone radiation, advising people not to keep cell phones in their pockets and not to put them against their ears for long periods. Facebook, citing research from the University of Michigan, acknowledged last year that passively consuming social media makes us feel bad. It’s early days, but the kickback against Apple, Facebook, cell phones and social media reminds me of how the culture cooled on the fast-food industry. Fast food had become a mainstay of American life by the 1950s as consumers embraced its innovation, convenience and entertainment value. In the ensuing years, the fast-food business grew rapidly, expanding overseas and luring families with children’s menus and toys. It wasn’t until decades later that consumer groups, government agencies and health advocates fully informed the public about the health consequences of eating too many burgers and fries and of feeding them to their kids. Consumer safety often plays catch up in a free-market economy. Nonetheless, we now know what we’re getting into when we walk into a fast-food restaurant. And as result, many of us choose not to do so. But when it comes cell phones and social media, we’re still in the dark in terms of understanding just how deeply technology affects our mental, emotional and physical wellbeing. In many ways, our interaction with the digital world amounts to a huge biological experiment. Increasingly, that makes many of us uneasy. If we’re completely honest with ourselves, we already know something isn’t right in our digital domain. For all the benefits our devices bring, they command way too much of our attention. We’re perpetually distracted and we miss real-time moments of our lives when wedded to them. We feel anxious and “less than” when binging on social media. Some of us are addicted to the dopamine boost of receiving a “Like,” a text or an e-mail. Of course, we could all take more personal responsibility when it comes to how we use our devices and how we allow our children to use them. But we should also demand scientific data from tech companies and government agencies about how cells phones and social media affect us. The California Department of Public Health only issued its recent cell phone safety guidelines after a UC Berkley professor sued the agency to release its detailed findings. As technology continues to expand its reach into our daily lives, there’s urgency to getting answers – particularly for our kids. What’s the difference between seeing and looking? Is there a difference? These are questions I often ask elementary school children when teaching them visual mindfulness. Most of them eventually conclude that seeing involves more attention and focus while looking doesn’t. In meditation and in practicing mindfulness in our daily lives, we’re often instructed to settle the mind by attending to our breath, to sounds or to sensations in our bodies. Seeing gets short shrift. And, yet, seeing is a lovely mindfulness practice. Thoughts arising in the mind are often accompanied by a cinema of images. We can notice the images and increase our awareness. When we’re out and about, we can stop and really see the sky, a leaf or another person and more fully inhabit our world. So, try this simple practice: Close your eyes. Take a breath. Then, open your eyes and gaze upon an object within your field of vision. 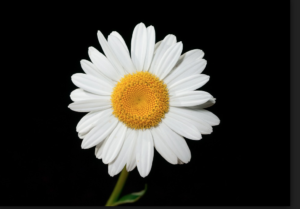 (Use the image of the flower above if you like.) Take in its shape, its color and its size. Make a study of it. Notice details you might otherwise miss. If the object is small enough, reach for it, hold it in your hands and as Miller suggests marvel at its awesomeness. Watch this intriguing video and learn how the quiet life of Billy Barr, aka “The Snow Guardian,” has given scientists a treasure trove of climate change data. Barr devoted his life to measuring snow and to living simply. He makes me want to live more simply, too.